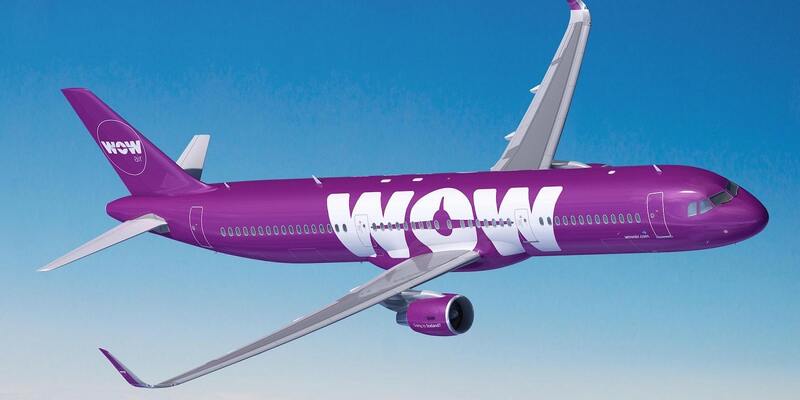 The collapse of Wow Air – what can we learn? The collapse of Icelandic low-cost airline Wow Air, which has today seen the immediate cancellation of all services, is obviously going to be hardest for its staff, and the thousands of passengers who now find themselves stranded – not to mention the several thousand with now worthless future bookings. Although rescue fares and actions by easyJet and Norwegian Air will help people get home at minimal cost, today’s development is also a reminder of the ways travellers can protect themselves against airline and travel company failures. Here’s how you can be best prepared. It’s by no means a given, but a comprehensive travel insurance policy will cover travellers for the failure of their airline. It might even cover the additional costs that can be incurred in such situations – such as hotel accommodation while you wait for a new flight. So it pays to check the small print of your policies, if you’re at all nervous about the stability of your airline. Find out more about the benefits of travel insurance. According to the terms of the Package Travel Directive, if you’ve booked your flights as part of a package (that is, flights plus accommodation or other services) with an ABTA-bonded travel company, and are overseas when an element of the package (for example, the airline) fails, then it is that travel company’s responsibility to bring you home at the end of your trip – at no extra cost. Similarly, if your booking is for travel in the future, it’s the package organiser’s responsibility to make alternative arrangements free of charge. If no suitable alternative is available, then you should be offered a replacement holiday or a full refund for the price of the original holiday. If your flights have been booked direct with the airline, then it’s your responsibility to make new arrangements. However, if they were paid for on a credit card, then it could be possible to recoup the cost from the provider (under Section 75 of the Consumer Credit Act for purchase over £100, or the ‘charge back’ scheme for those beneath that threshold) or via your travel insurance policy. But, before you do, check with the travel agent to see if their insurance covers Scheduled Airline Failure. This is by no means impossible, in accordance with EU regulations on air passenger rights. But be prepared for a long process, as all claims have to be placed with the bankruptcy administrators (once they’ve been appointed, that is) and assessed. In summary, airline failures are an unfortunate reality, and will continue to happen. However, with good planning and a little time invested in reading the small print of insurance policies, the worst case scenarios can be mitigated. Keep on top of the latest news in aviation, or start your search for cheap flights today.